Dry Needling is referred to as Trigger Point Dry Needling, Functional Dry Needling, or Intramuscular Stimulation. It improves pain control, reduces muscle tension, normalizes dysfunction, and expedites rehabilitation. Dry Needling, in conjunction with other conventional therapies, relieves pain and improves function better than conventional therapies alone. 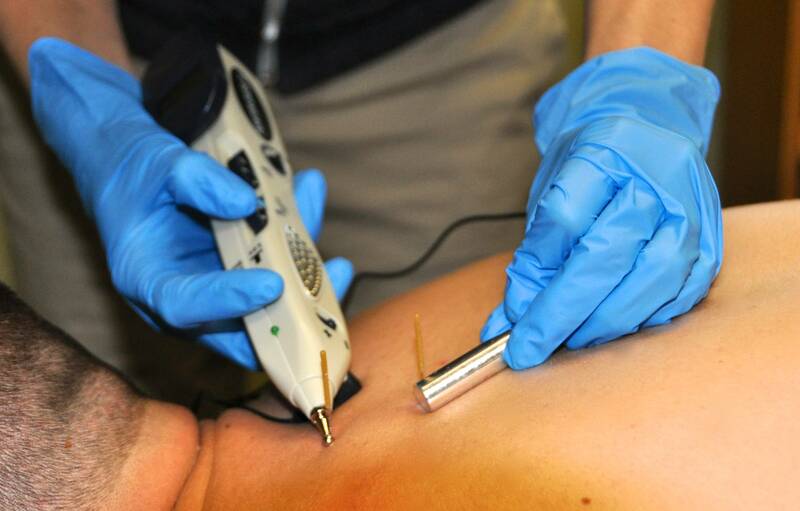 Dry Needling is a technique used to treat dysfunctions in the skeletal muscle, fascia, and connective tissue. It diminishes persistent peripheral nociceptive input, and reduce or restore impairments of body structure and function leading to improved activity and participation. A technique using thin needles inserted into the tissue, to decrease pain, improve function, and induce a healing response. While using the same type of needles, they are two very different treatments. The practice of acupuncture by acupuncturists and the performance of dry needling by physical therapists differ in terms of historical, philosophical, indicative, and practical context. Dry Needling is a part of modern Western medicine principles, supported by research, and utilized by licensed health care professionals. Suffering from any of these symptoms?